When former USC and current Toronto Raptors guard DeMar DeRozan returned to Los Angeles last Friday, he told Galen Central that he was nervous to appear in his first All-Star Game. However, by the time DeRozan took the court last night to start the second quarter in New Orleans, it was clear that the only competition in the 63rd NBA All Star Game would be the battle to see which player could stand in one spot the longest during the 20 minute pregame introduction marathon, which featured Pharrell, Snoop Dogg and Diddy. DeRozan scored eight points on 4-of-7 shooting as the Eastern Conference overcame an early deficit to win, 163-155. It was a defense-optional affair, as the 318 points scored in the game set an All-Star Game record. DeRozan primarily played in the second quarter, when he had six points, two assists and one rebound. The game featured offensive explosions from many of the NBA’s best. Kevin Durant and Blake Griffin both scored 38 points for the West. Carmelo Anthony had 30 points for the East and he also broke the All-Star Game record for three pointers with eight. Cavaliers point guard Kyrie Irving won the All-Star MVP award as he had 31 points and 14 assists. DeRozan was able to spend more time with these players and other All-Stars over the weekend, and he said playing in the All-Star Game was a chance for him to reconnect with the NBA’s best. 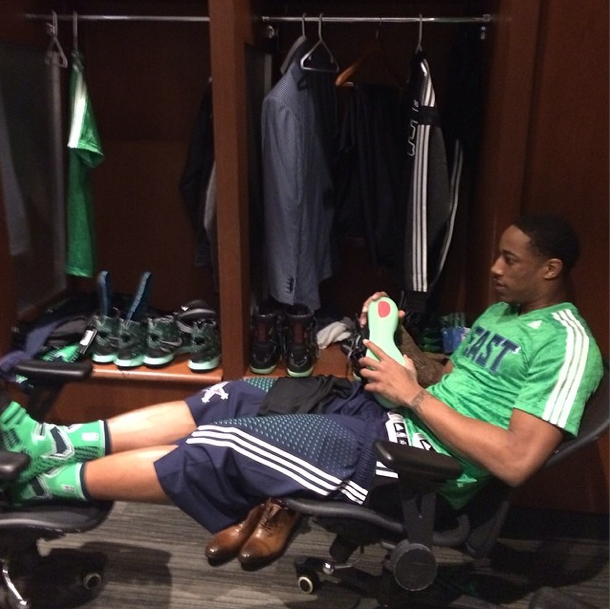 By appearing in the All-Star Game last night, DeRozan became the first Trojan to play in the game since Gus Williams did it as a member of the Seattle SuperSonics in 1983. Just like DeRozan, Williams played for 15 minutes in the 1983 NBA All-Star Game, scoring six points in a 132 to 123 loss. Kareem Abdul-Jabbar and Magic Johnson combined for 37 points in the loss, and Julius Erving added 25 points, in a game that demonstrates how long it had been since a Trojan had made it to the All-Star Game. DeRozan was not the only Trojan who took part in the game last night. Robert Pack, an assistant for Oklahoma City who was an assistant coach in last night’s game, played for the Trojans in 1989 and 1990. Williams also had experience on All-Star Weekend as a player. He finished second in the 1994 NBA Slam Dunk Contest. 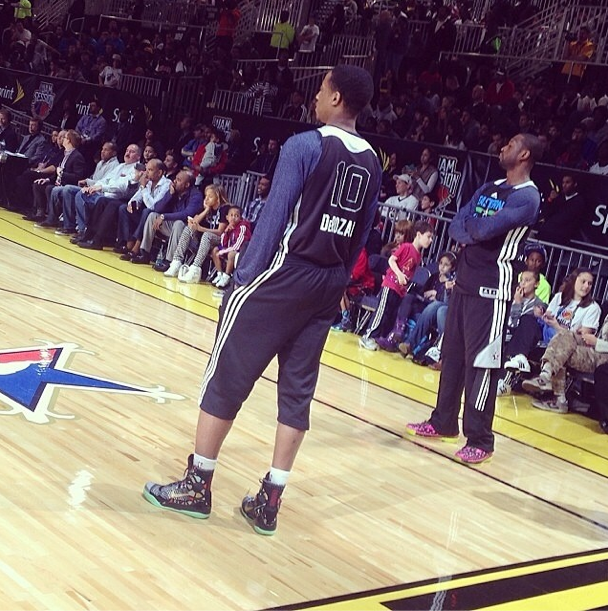 DeRozan was similar unsuccessful on Saturday night during the skills challenge. He was eliminated in the first round along with his teammate Giannis Antetokounmpo, after posting a time of 45 seconds. But this weekend was not about Saturday for first time All-Star DeMar DeRozan, who was able to fully appreciate being in the All-Star Game without any of the nerves.